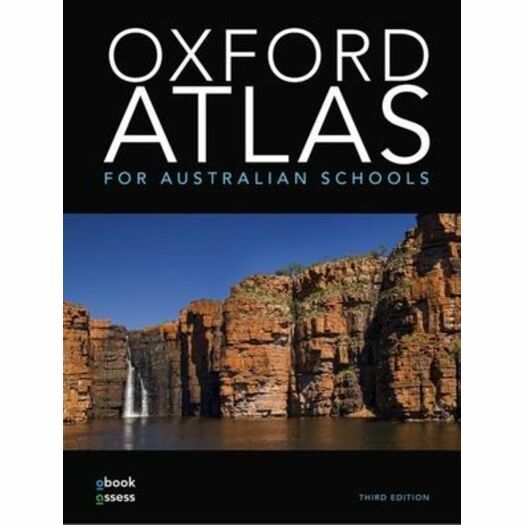 The Oxford Atlas for Australian Schools has been written to meet the requirements of Geography curricula across all Australian states and territories.Offering greater flexibility and support than ever before, every print atlas comes supported by Oxford’s comprehensive digital offering, obook assess. Over 160 pages of content and case studies purpose-written to support Years 7–10 Geography curricula across Australia. Topics are organised by year level and unit to support all courses and provide targeted learning opportunities.All concepts and skills are covered in detail and supported by a range of engaging activities that build student understanding. Add notes, drop pins or draw freehand markups on more than 250 interactive maps. Share notes with the class by customising assignments and homework tasks or sending via email.